Microsoft's brave new world: Samsung, Android, and third-party software? Microsoft's mobile ambitions have flitted from being a foreground issue to a background issue and vice versa within the company over the past decade. Windows Mobile, pre-iPhone, was class-leading and enabled a whole swathe of businesses to work on mobile, sending and receiving email in a time when everyone else was chained to their desk. But, after the iPhone was released, that all changed. The industry that Microsoft led changed dramatically, pulling the rug from under their feet and leading to a massive decline in the relevancy with consumers that Microsoft had come to enjoy from the 1990s through to 2007 and beyond. 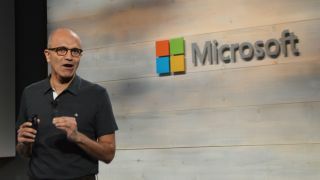 Luckily for Microsoft, Satya Nadella is now CEO and his vision for Microsoft is far from that of Steve Ballmer, who believed in keeping Windows and Office at the forefront of Microsoft at the cost of everything else. Everything had to be made by Microsoft for Microsoft and, gradually, the company became more and more insular – and, in turn, fell further and further behind in the consumer world. Recently, however, the wind appears to have been blowing in a different direction. Rumours have been swirling that Samsung and Microsoft have been exploring ways to put Redmond's services on their smartphones instead of Google's. Samsung has, the company feels, become too reliant on Google and has been working on an alternative operating system named Tizen, and exploring partnerships outside of Google. It's important that the companionship of Microsoft and Samsung isn't seen as a way to top Apple. Up until recently, Samsung was shipping millions more phones than Apple and was dominating the Android market almost singlehandedly, giving them vast leverage over carriers and developers. Unfortunately, Samsung never managed to have leverage over Google which continued to develop Android how it wished, in stark contrast to Apple that develops iOS based around the hardware of the new iPhone or iPad. TouchWiz has always been Samsung's Android 'skin' – covering up stock Android and overlaying Samsung's own apps – and the rumoured partnership with Microsoft would have "rolled back" TouchWiz to focus on Office and various other Microsoft applications (including an Office 365 subscription of unknown length), ousting Google Docs and Google Mail and reducing the company's reliance on Google in the process. But what does Microsoft get out of it? Firstly, the move puts its services in the hands of millions of users who wouldn't have previously been exposed to Outlook or OneNote. As I've written before, Microsoft's services are very much seen as applying to usage at work or in school, and then iOS and Android are used for leisure; this is a perception that Microsoft wants to change, which leads us to the second advantage of putting Microsoft services on Samsung phones. Windows Phone – which has now been renamed Windows 10 – has accumulated very little market share. When the iPhone was first released Steve Ballmer speculated that it would only have a 2-3% share going into the second decade of the 21st century. Little did he know that it would actually be Microsoft who ended up with such a small share of the market. In 2007 Ballmer may have been correct: if time had stood still and Apple had been content to keep a phone with no 3G and no video recording then perhaps the iPhone would have a measly market share, but of course, time did not stand still. The whole market changed as Apple updated the iPhone on a yearly basis, adding new features and releasing new software, attaching an easily understandable schedule to new phone releases that had previously been absent, turning a new iPhone into "the event". In the end, Microsoft has been left with the carpet being pulled from under its feet, searching for new ways to get services onto mobile devices.